While Marvel hasn't officially announced a sequel to their blockbuster Black Panther yet, with the movie taking in a whopping $696.6 million domestic and $1.3 billion worldwide, a follow-up is inevitable. While promoting the home video release of Black Panther, producer Nate Moore was asked if the creative team would be open to a character other than T'challa (Chadwick Boseman) becoming Black Panther. The producer said that they may consider different characters taking over, revealing their approach to the Black Panther character. "One thing I like to tell Ryan is, the Black Panther is a mantle as much as it is a person, so we're not restricted by anything, because the truth is, there's a lot of different ways to go back to Wakanda and have a good time and continue to explore the themes that made the first film so resonant." There is no indication that Marvel is ready to use another character as Black Panther, especially given how popular the movie turned out to be, far exceeding expectations and becoming the highest-grossing superhero movie of all time at the domestic box office. It will likely be quite some time before Marvel is ready to turn over the reins to the Black Panther character to someone else, but it's clear there are more than a few worthy contenders in Wakanda that we've already been introduced to. One of the biggest breakout characters from Black Panther was T'challa's high-tech sister Shuri, played by Letitia Wright, who proved she can hold her own in a fight along with designing the innovative weapons her brother and the Dora Milaje use in the movie. Given Marvel's history of giving major characters a stand-alone trilogy, along with appearing in larger ensembles like the Avengers movies, it wouldn't be surprising if this tradition stuck with Black Panther, and if we do get a different character taking over for T'challa, it might not be until after Black Panther 3. Still, that is quite a long ways away, especially since Marvel hasn't announced any concrete plans for Black Panther 2 yet. Aside from Spider-Man: Homecoming 2 (July 5, 2019) and Guardians of the Galaxy Vol. 3, Marvel president Kevin Feige has said they won't reveal any further Marvel Phase 4 movies until after the release of Avengers 4, which hits theaters on May 5, 2019. 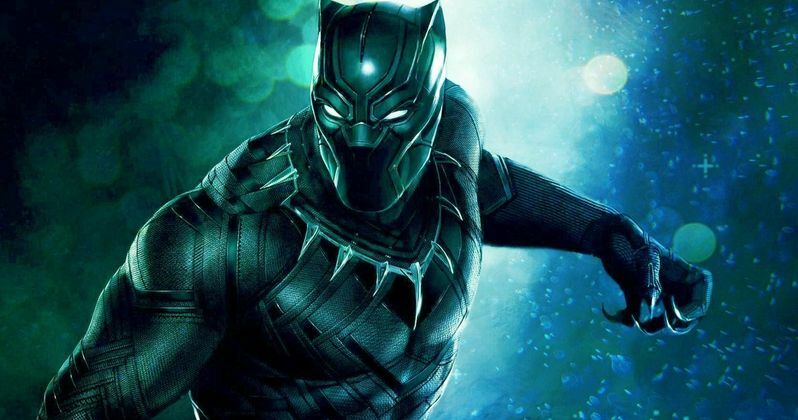 Black Panther 2 will likely arrive at some point in Phase 4, perhaps in 2020 or 2021, but it hasn't been confirmed yet if Ryan Coogler will be back to direct, or who will write the script at this time. Producer Nate Moore revealed these new details in an interview with Screen Rant, although he didn't offer any indication as to what other characters in Wakanda he would like to see take up the Black Panther mantle. There is certainly no shortage of worthy candidates, but we'll have to see how Black Panther 2 and likely Black Panther 3 shape up first before addressing a possible replacement for T'challa.